Starting as a project to create electronic tools to support the use of Khmer language (a spell-checker and an electronic dictionary), the project has digitalized all the existing lexicographic resources for Khmer (old dictionaries, etc. ), most of them almost lost after the Khmer Rouge genocide, and will create an electronic dictionary that will contain all of them. Also, as the reference dictionary for the Khmer language only defines 17.000 of the almost 50.000 current words (without entering into specific fields), advancement on Khmer Lexicography must go through the writing of definitions for many of these words that still do not have them. This is a long process, but the project has started it, hoping that in a few years, with this and other efforts, it will be possible to write a dictionary of the Khmer language with all 50.000 definitions. 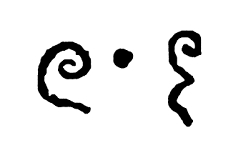 The project is also writing the first manual of orthography for the Khmer language. Project partners: Open Institute (NGO, Cambodia) and the Buddhist Institute, a part of the Ministry of Cult and Religion of Cambodia that has traditionally been in charge of preserving the language. Funders: Spanish Agency for International Cooperation for Development (AECID) and the WordForge Foundation with its own funds.